I’m really happy with my entry for the actual Ludum Dare event. The game itself feels very consistent and the feedback is very good so far. Hence I’m actually working on a post-compo version of the game. 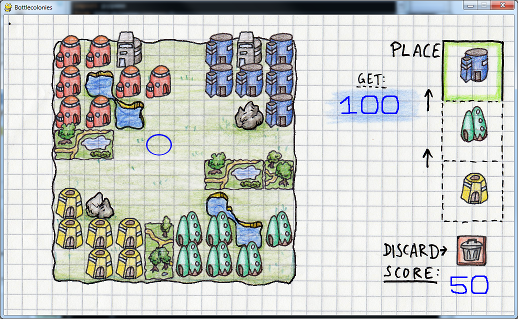 It is in open beta at the moment and shall become a free puzzle strategy game for Windows, Linux and maybe Mac PCs. I will post development updates on this blog with some spare additional posts on the Ludum Dare site. Here is a link to the game’s page.